posted under Chipperish Media, Gratitude, My Favorite Podcasts, This Life... | Comments Off on It’s Wednesday . 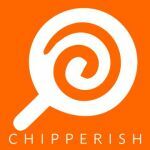 . .
posted under Chipperish Media, My Favorite Podcasts, This Life... | Comments Off on Chipperish Is Coming!